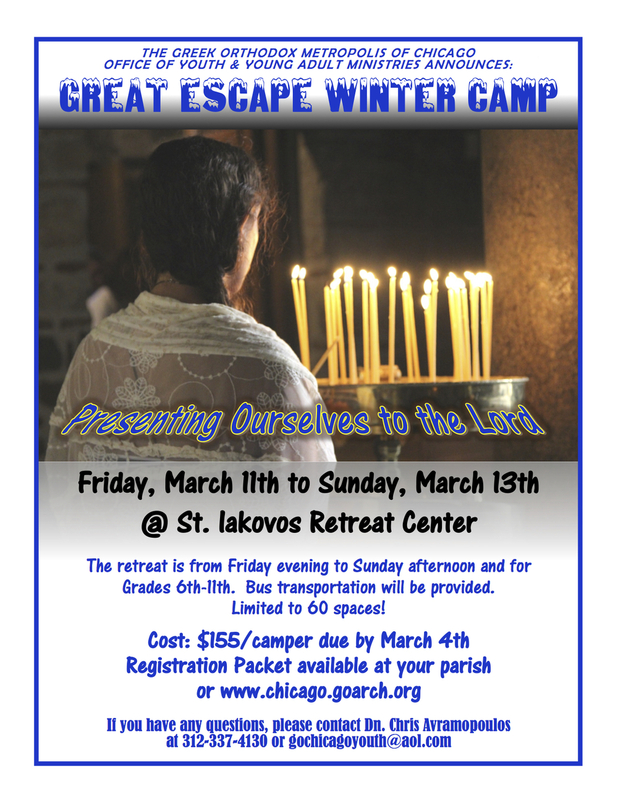 This year’s theme is Presenting Ourselves To the Lord and is for youth in grades 6 through 11. For more information, contact Dn. 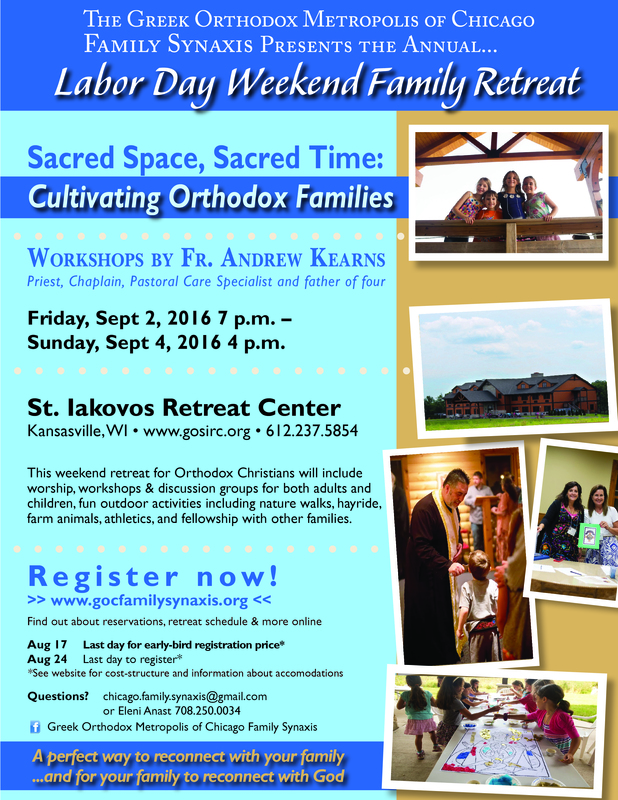 Chris Avramopoulous at gochicagoyouth@aol.com or 312.337.4130. 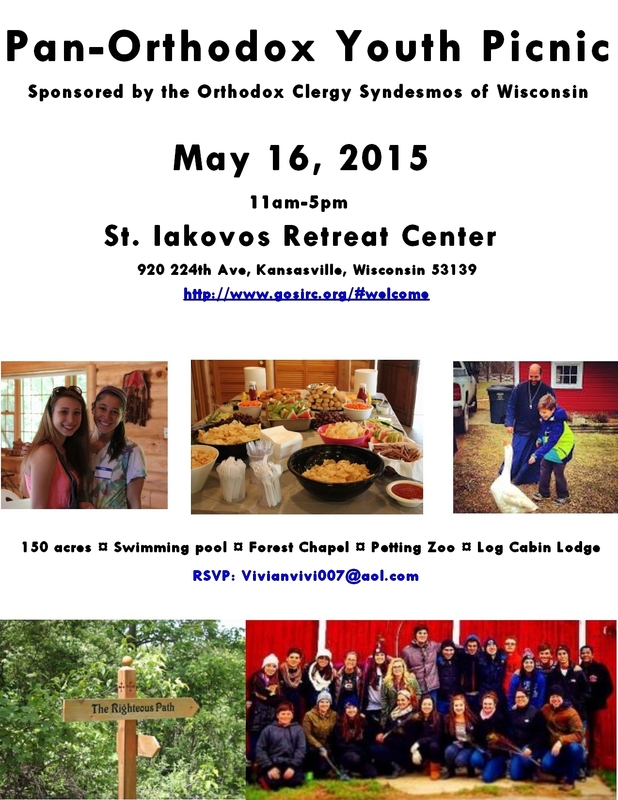 The Orthodox Clergy Syndesmos of Wisconsin invites all Orthodox youth and Orthodox families to a day of fun, fellowship, and relaxation at the St. Iakovos Retreat Center on Saturday, May 16. 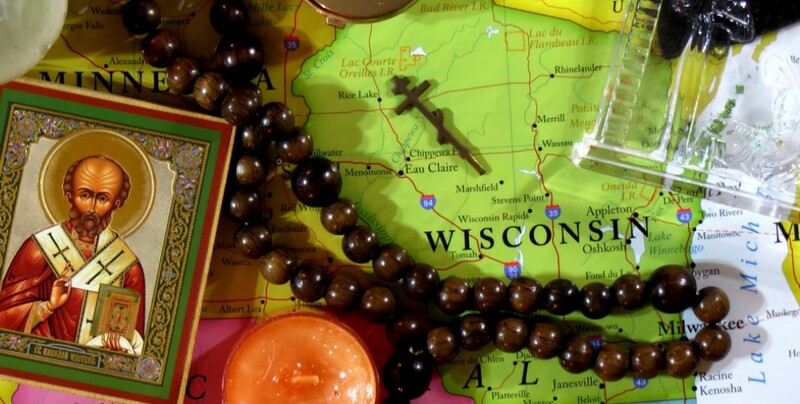 The retreat center is comprised of 150 acres where one will find nature trails, a forest chapel, swimming pool, log cabin lodge, petting zoo, among other things. Lunch will be provided.